Address Plaque with 1 Offset Number - - a single 3" or 4" high digit is mounted on a thin aluminum backplate. Multiple color combinations including awesome two-tone combos. Floating individual house numbers are suitable for suite numbers, office numbers, room numbers, unit numbers, or a street address with a single digit. Made in USA. 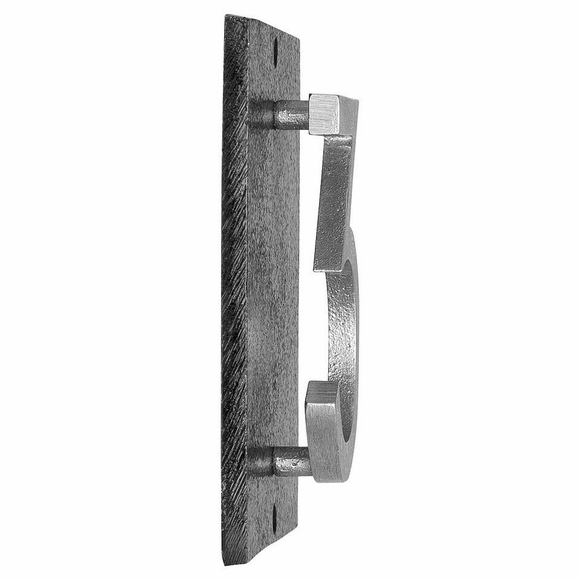 Features a single raised floating solid cast aluminum 3" or 4" high number on a 1/4" thick solid aluminum backplate. The numbers are securely fastened to the plaque on the back side with screws that are countersunk to conceal them. Horizontal orientation or vertical orientation. Sign size: 4.5"H x 3.375"W x 1" thick. Floating Modern Number Address Plaque with 1 Number holds one 3" or one 4" digit. Made in USA. Our newest ultra chic address plaque is a high quality, contemporary custom sign without the wait.